Straw Hat Pirates Assemble! 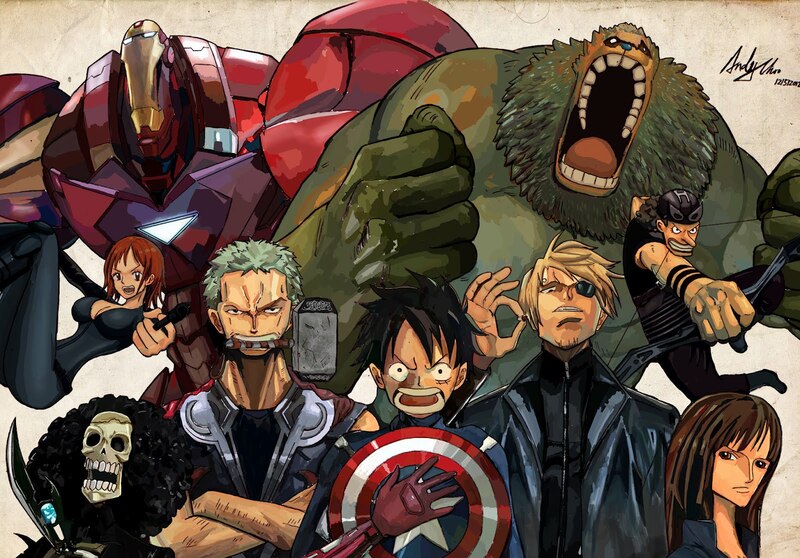 Courtesy of Singapore artist Andy Moo, Earth's Mightiest Heroes collide with World's Greatest Crew of Pirates! Marvel's The Avengers might be Earth's Mightiest Heroes in America's comic market and global box offices, but when it comes to manga, anime, and its legions of associated merchandises, Eiichiro Oda's One Piece is the undisputed King. In this awesome mash-up conjured by Singapore artist Andy Moo, the Straw Hat Pirates take on the roles of the Mighty Avengers with surprisingly harmonious effects. 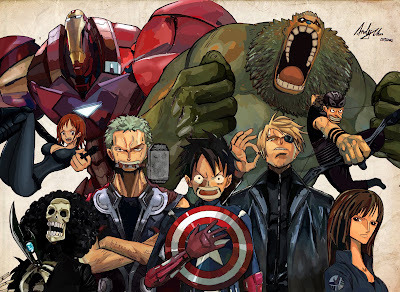 While I opine that Sanji and Zorro should have switch their roles as Thor and Nick Fury respectively since Sanji is a blond and Zorro has only one eye now, this is an incredible mash-up not to be missed by any self-respecting fans of both franchises. Hit the jump and click on the image for full resolution awesomeness.